Your job and career may be at risk due to a PASSIVE AGGRESSIVE WORKPLACE! According to research described in “How Bad Apples Spoil the Barrel (1)”, the worst team member’s performance is the best predictor of how any team performs. It doesn’t matter how great the best member of a team performs or how efficient the leader of a group. Teams perform at or near the level of their weakest member. If full group engagement or team cooperation is expected, then the person with more difficulty cooperating with others will slow group performance. Teams overwhelmingly perform as their members behave. Even one bad apple can not only spoil, but destroy the barrel. The worst case of passive-aggressive behavior involves destructive attitudes such as negativity, sullenness, resentment, procrastination, “forgetting” to do something, chronic lateness, and intentional inefficiency. When it involves promising to do tasks others rely on — purposefully not getting them done and offering lame excuses later then portray their behavior as non intentional – it’s exasperating for the manager. Time, energy, effort, opportunity, and sometime money is lost. In cases where some work is actually done, it may be delivered too late to be useful (e.g., “You needed this for the meeting at nine? I thought you said for the meeting at noon!”), may be performed in a way that makes it useless (e.g., “You wanted the stats for ‘06? I thought you said the stats for ‘96!”), or it may be sabotaged in any number of other ways. This creates a paranoid team or workgroup environment — workers need to be always on the look out for “backstabbing behavior,” so they can defend themselves and preserve the quality of their own work. If the team you lead or are part of is not succeeding, your own career is at risk! 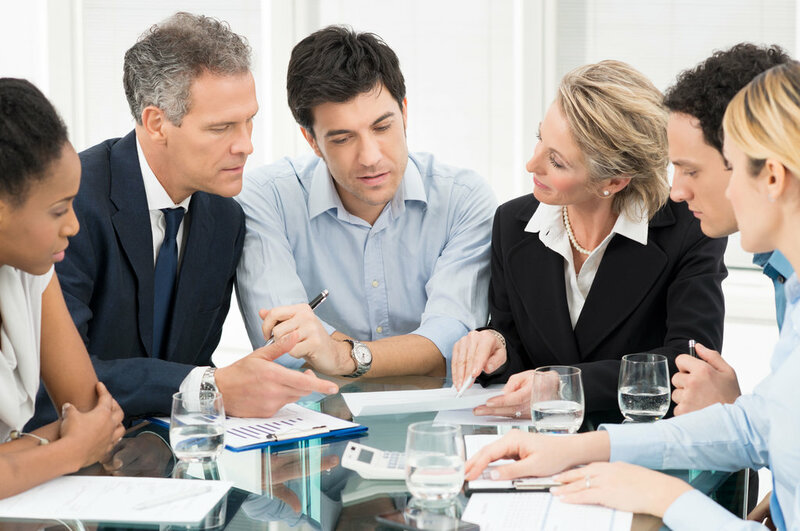 Passive Aggressive behavior can and often does destroy teams and poison the workplace. In an optimal organization you find efficient high-performing teams. Great team performance depends on trust, cooperation, communication, and employees’ high level of personal responsibility. Today’s stressful environment makes nurturing high performing teams difficult. Why? Because growing unemployment is resulting in employees working with people they otherwise may not choose to associate. The workforce is stagnant. Financial insecurity is adding heavy pressure to the workplace. To survive, individuals resort to strategies such as doubling their productivity and making themselves indispensable; while other employees buckle under stress, get burned out and end up performing below their abilities. A third group of people – passive aggressive workers — have difficulty managing their anger and negative emotions held from present or past situations. Their emotional imbalance sabotages their team with passive aggression. When resources are scarce, all competitive behaviors play harder, and non-productive reactions also develop to frustrate highly effective and valued workers. What results is lower performance and increased organizational and interpersonal stress. Passive Aggressive behavior must end in the workplace. But conventional wisdom to remove it may be wrong. A good leader knows there are ways of solving such challenges, if what is needed is more training or time. What is more difficult to address is the contradiction between expressed compliance and negative results. People demonstrating passive aggressive behavior promise compliance, but later there are no measurable results. Sounds disconcerting? Of course it is! And this fake compliance or what has been called “intentional inefficiency” is more usual than expected. According to a recent study of corporate culture conducted by Booz Allen Hamilton, more than 30 percent of the managers, employees and executives surveyed believe they work in unhealthy, passive-aggressive organizations. We need to understand that this kind of passive aggressive behavior means a challenge to any managers’ ability to achieve project goals — resulting in a team’s tasks never delivered in time or quality, or general sabotaging of the team’s productivity. Of course, there can be passive aggressive bosses also, a severe workplace scourge that can force any employee to leave his job to preserve his sanity. Conventional wisdom says you can ask for new commitment from a passive aggressive worker or ask for a promise of better behavior. In extreme cases you can fire an employee or quite to escape the nightmare of working in a passive aggressive workplace. The problem is all of these options are poor, wasting time, money, and effort. Referencing the roadmap above, is passive aggressive behavior recognized and dealt with as an important component of the company’s management style? Have team support for those activities which can’t be done by you alone, and you can’t delegate on your passive aggressive employee. If quitting your job is not the best solution because we are in recessionary times and there are too many qualified professionals looking for employment in your field, then you need to detach to survive. To detach emotionally will require you to give up some, if not all, of your beliefs about what is normal or abnormal in the workplace. In the process of accepting a seemingly irrational way of behaving as accepted behavior, you need to give up your previously held ideas about normal environments. You are not in a “normal” or “sane” environment any longer and the sooner you realize it the better. The real danger of detachment is it’s the breeding ground for the ill behavior you’re trying to avoid. You may find detachment leads to expression of passive aggressive behavior. The disease may spread to you. If you are getting the knack of this situation, then there is a permanent question in your mind: what else can be done, apart from escaping from or neutralizing the damage caused by the passive aggression? Think through how you can survive and even thrive in this environment without allowing your projects and your career being destroyed by this counterproductive behavior. It’s either you take a proactive behavior and defend your work in an intelligent way, or get hurt without knowing what hit you! On what side of this choice would you be? If you want to know more about passive aggressive behavior and how to prevent it from hurting you, you are making the right decision! You will be in the minority of people who can see it happening, and are ready to answer it. Manage Passive Aggression in the Workplace is a 61 page ebook chock full of knowledge and ideas to identify and manage passive aggressive workers. 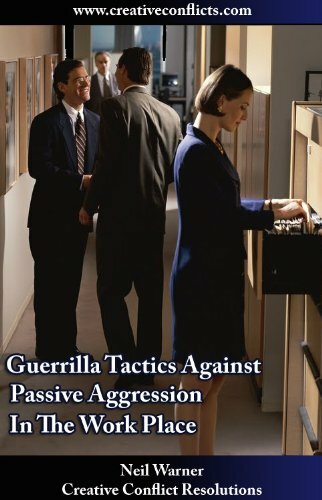 Complete with detailed strategies and reference data, this ebook is idealized for workers and managers having the unfortunate reality of having to deal directly with passive aggression in the workplace. If you are facing this kind of challenge in your workplace and it is sabotaging your best work and damaging your career, NOW is the time to order this ebook. You need not to expose yourself or your team members to the shenanigans of passive aggressive behavior any longer. Don’t risk your team performance or put your career at risk. Order this ebook and put its lessons to work for you today! Follow the directions in the next page to download it to your computer fast! (1) W Felps, T Mitchell, E Byington, “How, When, and Why Bad Apples Spoil the Barrel: Negative Group Members and Dysfunctional Groups,” in Research in Organizational Behavior, Vol. 27 (2006), pp. 175-222.